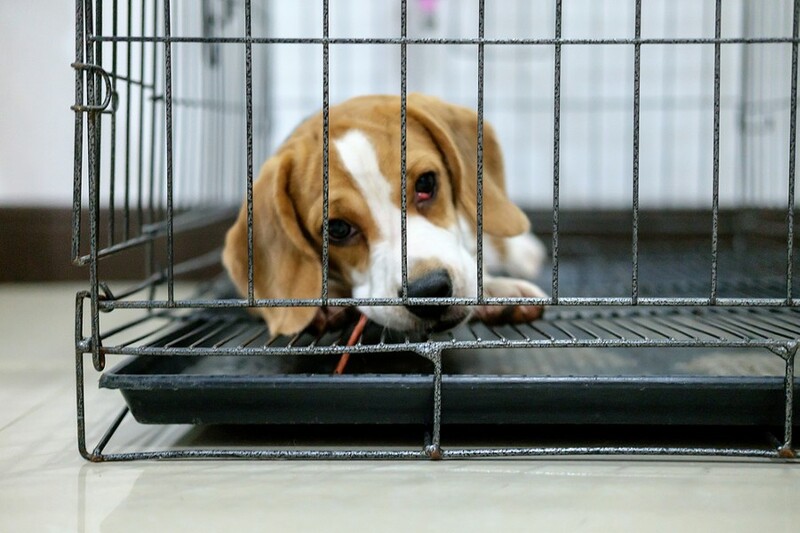 After an undercover investigation, the Humane Society of the United States has accused a Michigan research laboratory of keeping dozens of beagles in inhumane conditions and force-feeding them fungicides. The Humane Society released the results of a nearly 100-day undercover investigation on Tuesday that alleges mistreatment of dozens of beagles at the Charles River Laboratories, which was contracted by Corteva Agriscience, which operates DowDuPont's agriculture division, in Mattawan, outside Kalamazoo. “What the HSUS investigator found will shock those who are unaware of what happens in these labs,” the report reads. The investigation, which ran from April to August, according to the Free Press, detailed nearly two dozen experiments that involved testing on dogs. According to the Humane Society, more than 60,000 dogs are involved in toxicity testing and research experiments annually at about 350 facilities around the country. “The HSUS investigation looked into a common use of dogs in private laboratories – that is, their use in pesticide and drug testing for toxicity (safety) purposes,” the report reads. The undercover investigator witnessed one experiment that is still underway and involves 36 beagles who are force-fed fungicides in the form of capsules, according to the Humane Society. These dogs are still alive, but will be killed in July at the scheduled conclusion of the experiment. A petition on the Humane Society’s website that calls for the immediate release of the 36 beagles has nearly 100,000 signatures. Dow AgroSciences is conducting a one-year pesticides test on 36 beagles! This cruel & unnecessary test includes the force-feeding of pesticides to the dogs. Corteva Agriscience said that they are seeking alternatives to animal testing, but that the tests are required by Brazilian regulations. “We conduct animal testing only when such testing is mandated by regulatory authorities and we proactively engage with government officials about minimizing or ceasing animal studies, where possible,” it said in a statement to ABC7. The Humane Society said that the results of their undercover investigation offers insight into what’s occurring inside similar facilities around the country. Will Feuer is an intern at Metro Times.